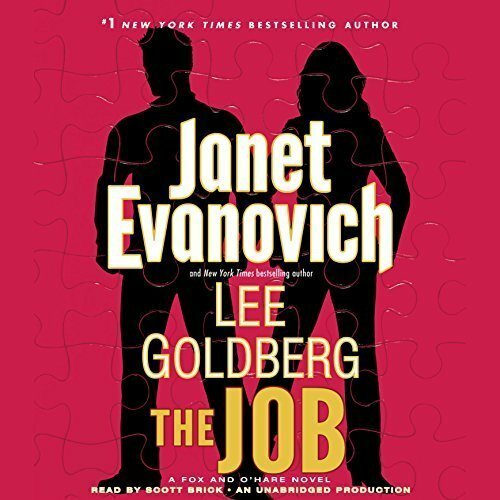 I’ve been blessed in my career to narrate books by dozens of bestselling authors, but never in my wildest dreams did I think I’d ever get to work on a book by Janet Evanovich. Because she does such a magnificent job on the Stephanie Plum series, I thought Lorelei King would have all the Evanovich fun. 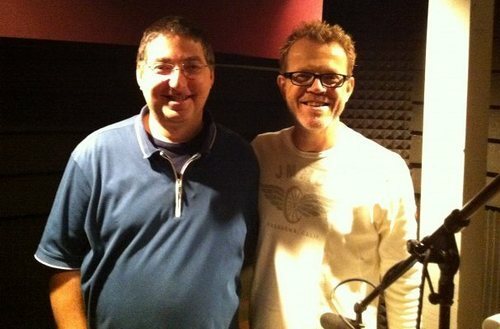 Then one day, two years ago, while recording a book at Random House in Los Angeles, I got called into Dan Musselman’s office. “Hey, you just got picked to do Janet Evanovich’s latest book,” he told me, and I was so stunned I just stood there staring at him, mouth agape, completely speechless. What so surprised me was that I had no idea I was even being considered…! In the audiobook industry, you’ll sometimes find that you’ve auditioned for something without having actually done so directly; quite often a publisher will provide their author with a number of audio samples by different narrators, samples of previous books those narrators have worked on, without any input from (or knowledge of) the narrators themselves. So this wasn’t the first time in my career that I found myself chosen for a series I didn’t even know I was being considered for, but it absolutely was the first time it happened with such a massive, bestselling author. All this was two years ago, right before starting THE HEIST, Book 1 of the Fox and O’Hare series. The series follows international criminal Nick Fox doing his dastardly best to outwit FBI Special Agent Kate O’Hare, hot on his trail. The complication? There’s an overabundance of sexual tension between the two. Just how badly does Kate want to catch him? And does Nick really want to escape? What I love about this series is its sense of humor. 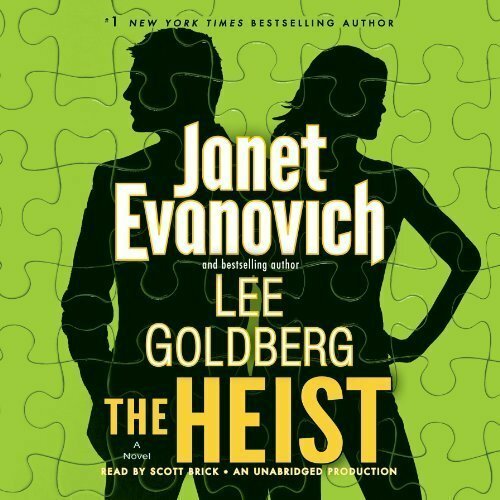 Janet Evanovich has always been known for her cracking wit, and teaming up with Lee Goldberg has only sharpened it. 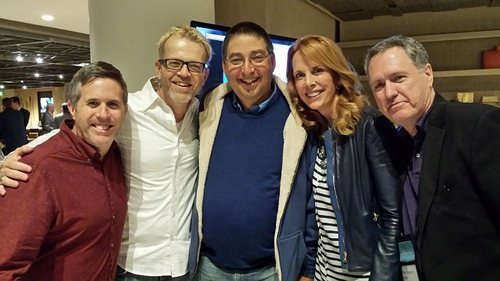 I got to meet Lee a year ago when he stopped by Random House while we were recording THE CHASE, Book 2 in the series, and he had us in stitches pretty much the whole time. For me personally, I really respond to humorous books. I’ll never forget working on my first book by Nelson DeMille, THE LION’S GAME. When I realized just how hysterically funny it was, I felt as though I’d come home. Which is exactly how I felt reading Evanovich and Goldberg. And what’s wonderful, not just for me but for all of you out there listening, is that the third Fox and O’Hare book just came out. THE JOB begins with a fiendishly clever thief impersonating Nick Fox, and Kate O’Hare wants to know why. Her search for the real culprit leads them all into the clutches of an international drug lord and his global smuggling empire. With the help of a machete-wielding Somali pirate, a self-absorbed actor, an Oscar-winning special effects artist, as well as Kate’s father, a retired Special Forces operative, they chase their mark from the streets of Nashville to the back alleys of Lisbon, from the rooftops of Istanbul to the middle of the Thames. Nick and Kate are on the run, and we are all the better for it. What really strikes me about this series is the way it reminds me of one of my favorite TV shows as a kid, Hart to Hart. While the premise is certainly different, it’s still got that “romance in the midst of a heist” kind of flair to it. So if you love thriller writers like Nelson DeMille who have a crackling good sense of humor then do yourself a favor and check out the adventures of Fox and O’Hare.